Bringing together scattered literature from a range of sources, Laser Spectroscopy and ItsApplications clearly elucidates the tools and concepts of this dynamic area, and providesextensive bibliographies for further study.Distinguished experts in their respective fields discuss resonance photoionization, laser absorption,laser-induced breakdown, photodissociation, Raman scattering, remote sensing,and laser-induced fluorescence. 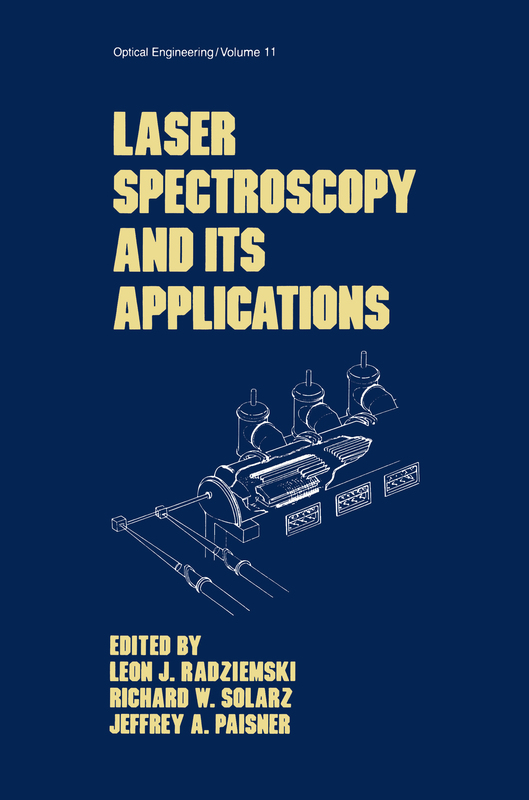 The book also incorporates an overview of the semiclassicaltheory of atomic and molecular spectra.Combining background at an intermediate level with an in-depth discussion of specifictechniques, Laser Spectroscopy and Its Applications is essential reading for laser and opticalscientists and engineers; analytical chemists; health physicists; researchers in optical,chemical, pharmaceutical, and metallurgical industries. It will also prove useful for upperlevelundergraduate and graduate students of laser spectroscopy and its applications, andin-house seminars and short courses offered by firms and professional societies.